I first read He is There and He is Not Silent by Francis Schaeffer in 1992. Multiple readings have ensued and I turn back to Schaeffer’s book again and again for help with apologetics. 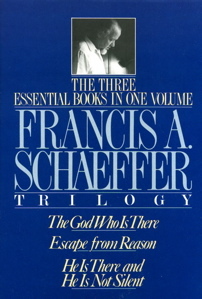 Schaeffer argues for three basic areas of philosophical thought: metaphysics (being or existence), morals (the dilemma of man), and epistemology (the problem of knowing). Philosophy and religion are essentially devoted to the same questions, namely, metaphysics, morals, and epistemology. Philosophy is concerned with either an academic subject or a person’s worldview. It is the later, that Schaeffer is concerned with in this volume. Schaeffer contends that every man is a philosopher of sorts because it is impossible for humans to live without a worldview. The second answer is that everything had an impersonal beginning. This answer leads automatically to reductionism. “Beginning with the impersonal must be explained in terms of the impersonal plus time plus chance,” writes Schaeffer. This answer poses many problems. But the two primary problems fail to answer the major philosophical question: the need for unity and the need for diversity. The third answer is the biblical answer. The third answer is the only rational and satisfying answer. This answer suggests that we must begin with a personal beginning. And to have an adequate answer of a personal beginning, one must have a personal infinite God, and personal unity and diversity in God (found the holy Trinity). There are only two basic answers to the question of morals. The first: Everything had an impersonal beginning. The is the answer of atheism. Schaeffer never minces words. He writes, “Beginning with the impersonal, there is no explanation for the complexity of the universe or the personality of man.” When one begins with the impersonal, one eliminates the possibility of morals or ethics. The second answer is the biblical reality of a personal beginning. Man was created by an infinite-personal God. Man sinned or “made a decision to change himself” as Schaeffer notes. Schaeffer concludes by setting forth the problem concerning epistemology and the epistemological answer. The epistemological problem concerns the tension between nature (particulars) and grace (universals). When nature becomes autonomous, the universal is lost with the hope of giving the particulars meaning. The problem is that when nature becomes autonomous, nature “eats up” grace. Schaeffer argues that when we are left with only particulars, we become lost in the areas of metaphysics, morality, and epistemology. The epistemological answer was summarized by the Reformers. The Reformers did not allow for a dichotomy between nature and grace. The reason: they had verbal propositional revelation. 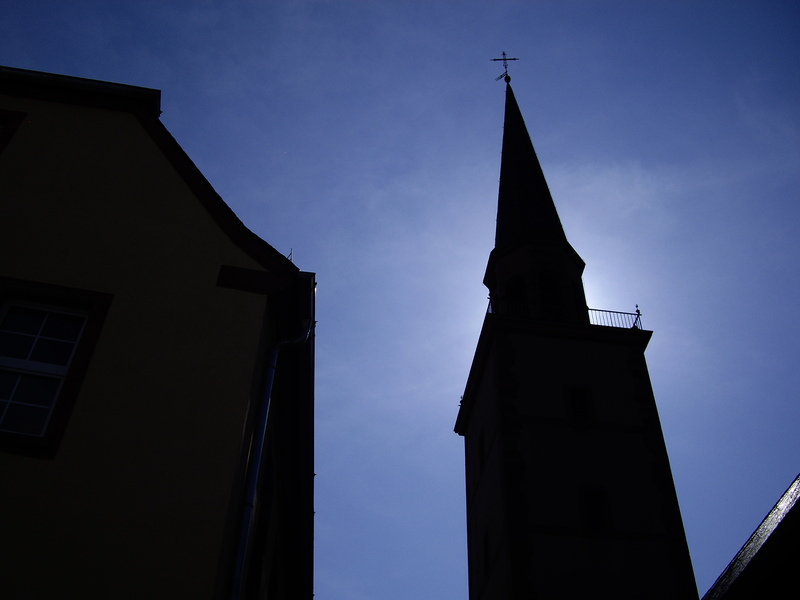 The Reformers were vocal about the reality of God’s existence and the reality of his revelation. Schaeffer popularized this view in the title of his book, He is There and He is Not Silent. God has spoken truly about himself. However, he has not spoken exhaustively about himself. Schaeffer urges readers to come face to face with two gigantic presuppositions – “the uniformity of natural causes in a closed system and the uniformity of natural causes in an open system and in a limited time span.” Ultimately, readers must determine which worldview fits with the facts. Schaeffer summarizes, then, the basic presuppositions in historic Christianity. 2. God is the infinite-personal God who has made man in his image. 3. God made man a verbalizer in the area of propositions in his horizontal communications with other men. 4. God communicates to us on the basis of propositions, viz, he is there and his is not silent. He is There and He is Not Silent is an essential work of apologetics. It should be required reading for every Bible College/Seminary student. Schaeffer put his finger on the essential issues of the day – even in the early 70’s and especially in our day. Great thinkers throughout the course of history have queried, “Where did it all come from? Who made the cosmos? What made the cosmos? What or who holds it all together? What is the meaning of life? What is the basis of knowledge? Where are we heading? And where do we go when we die? For those who reject a personal Creator – the questions posed above become totally unanswerable. For all those who reject a personal Creator, there is a hopelessness that lies under their dogmatic certainty. Genesis in Space and Time by Francis Schaeffer examines the flow of Biblical history. The book of Genesis sets the parameters and helps articulate a Christian worldview that includes a personal God. “He is there and he is not silent” as Schaeffer remarks in another book. At the core of the book stands the belief in a personal Creator. Affirming macroevolution or denying a personal Creator stands behind the hopelessness among the unbelieving world. Schaeffer adds, “It is either not knowing or denying the createdness of things that is at the root of the blackness of modern man’s difficulties. Give up creation as space-time, historic reality, and all that is left what Simone Weil called ‘uncreatedness.’ It is not that something does not exist, but that it just stands there, autonomous to itself, without solutions and without answers.” The proliferation of the so-called new atheism is vivid proof that Schaeffer articulated almost forty years ago. Schaeffer maintains that one must understand the book of Genesis in order to develop a workable approach to metaphysics, morality, and epistemology. Genesis in Space and Time continues to be relevant as many evangelicals back away from a literal interpretation of Scripture and a six-day creation week. Genesis in Space and Time is prophetic, bold and relevant. It is a powerful antidote for postmodern skeptics. Genesis in Space and Time by Francis Schaeffer examines the flow of Biblical history. The book of Genesis sets the parameters and helps articulate a Christian worldview that includes a personal God. “He is there and he is not silent” as Schaeffer remarks in another book. At the core of the book stands the belief in a personal Creator. Affirming macroevolution or denying a personal Creator stands behind the hopelessness among the unbelieving world. Schaeffer adds, “It is either not knowing or denying the createdness of things that is at the root of the blackness of modern man’s difficulties. Give up creation as space-time, historic reality, and all that is left what Simone Weil called ‘uncreatedness.’ It is not that something does not exist, but that it just stands there, autonomous to itself, without solutions and without answers.” The proliferation of the so-called new atheism is vivid proof that Schaeffer articulated over forty years ago. This is how Marvin Olasky begins his new book, Worldview: Seeking Grace and Truth In Our Common Time. Olasky’s work is a series of articles that originally appeared in World Magazine. Readers of World will be familiar with the author’s pithy writing that is biblically informed and culturally sensitive. My hope is that a new batch of truth seekers will be introduced to this man who is driven by biblical conviction and captivated by the gospel of Jesus Christ. 4. God communicates to us on the basis of propositions, viz, he is there and he is not silent. He is an experienced cold-case detective and he is a committed follower of Jesus Christ. J. Warner Wallace brings a wealth of experience and knowledge in his new book, Forensic Faith. The book is apologetic in nature but is laced with evangelistic fervor. Several features mark Forensic Faith and make it a beneficial resource to beginning Christians and seasoned veterans. First, Wallace argues that Christians have a duty to be “Christian case makers.” That is, they must present a compelling case for the historicity and reliability of the Christian faith. Indeed, we must be “prepared to make a defense to anyone who asks you for a reason for the hope that is in you” (1 Pet. 3:15). The author adds, “It’s time for the distinctly evidential nature of Christianity to result in a distinctly intelligent, reasonable, and evidential family of believers. This Christian difference ought to form our Christian duty. We are called to embrace a forensic faith and to love God with our minds.” The duty to present this compelling case, therefore, forms an unbreakable foundation for the remainder of the book. Second, apologetic training must be specifically targeted. This “training, writes Warner, “is more than mere instruction. Training involves putting instruction into practice.” There is a fine line between teaching which imparts knowledge and training which prepares learners for a unique challenge. Third, intense investigation must undergird would-be apologists. Five practices are suggested: 1) Read the Bible completely. 2) Think about the evidence for God and the Bible broadly. 3) Takes notes and analyze the Bible thoroughly, 4) Summarize and organize the biblical evidence usefully, and 5) Add to the biblical case evidentially. Fourth, readers are urged to utilize convincing communication skills which culminates with the much-needed skill of closing the argument with winsome persuasion. The book includes a helpful section that describes brief answers to typical challenging questions that may be leveled on a university campus or other challenging arena. Forensic Faith is a helpful tool that should be utilized by many as they seek to gain a better understanding of the Christian faith and making a positive case for its claims. One weakness is that page numbers are not provided in the table of contents, an oversight that should be corrected in future editions. There is some redundancy in this work that may leave readers bogged down and frustrated. Apart from these minor critiques, I commend Forensic Faith and trust that the contents will be a deep encouragement to many.